Brylee loves to play "teacher"! She plays "teacher" in her room almost every afternoon! 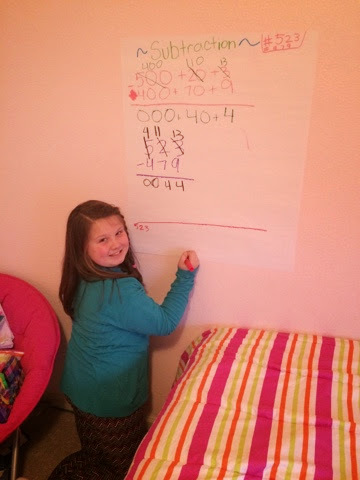 She loves this giant chart paper she hijacked from her daddy's classroom and her Mr. Sketch markers she got for Christmas! She makes charts to hang all around her "classroom"! Brylee said "mom come take mine and Caroline's picture... We are twins!" 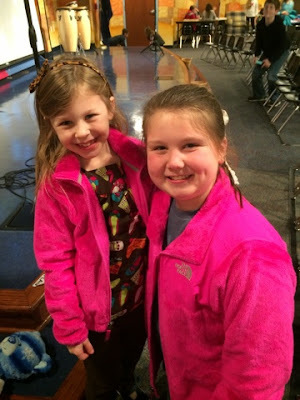 Love these sassy little sisters!!! Thursday, January 14th: Happy Thursday!!! Happy Thursday from me and my little carpool buddies!!! Friday, January 15th: Congrats JP!!! Jackson earned AB Honor Roll both nine weeks so he come home with this certificate Friday! 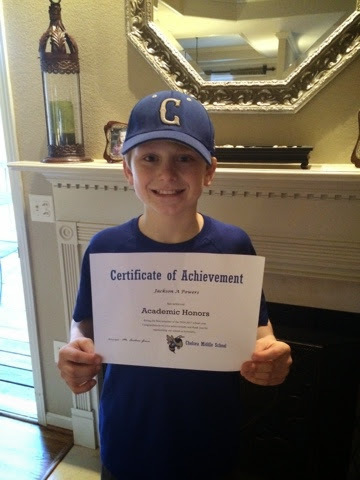 We are so proud of you JP! 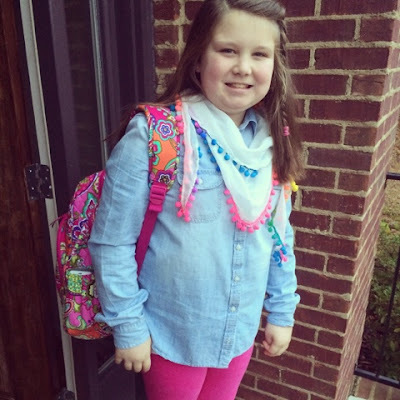 I worried so much about you going to middle school and you have rocked it! Good Job Buddy!!!! GoGo, Brylee and I enjoy spending our Saturday together! 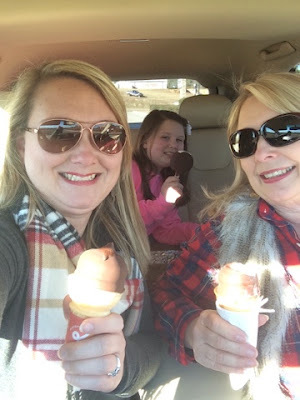 We enjoy shopping (well just looking today b/c GoGo gave up shopping for her 21 days of prayer "thing" at church), lunch, & our ice cream treats. We enjoy our girls days!!! 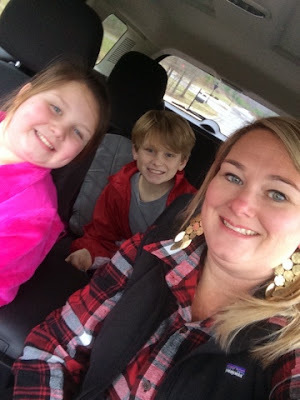 Sunday, January 18th: Sunday Fun Day Family Adventures!!! 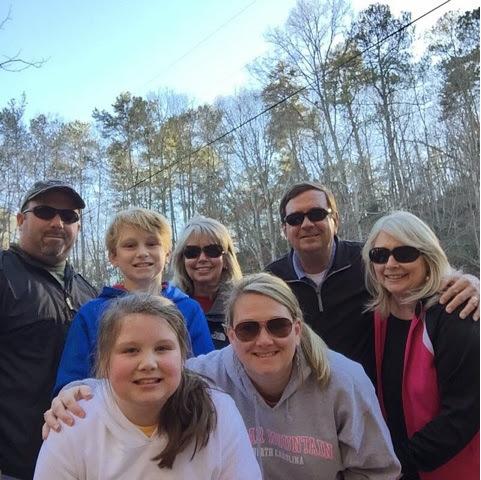 Today we went to Tannehill State Park for our Sunday Fun Day Family Fun! It was so last minute but we really enjoyed our day! We walked around the trails, in the camp ground, and just enjoyed being outside! The weather was nice and "warm"! Jackson and Brylee enjoyed riding their bikes around the trails and we enjoyed walking! It was a super fun Sunday Funday!! !